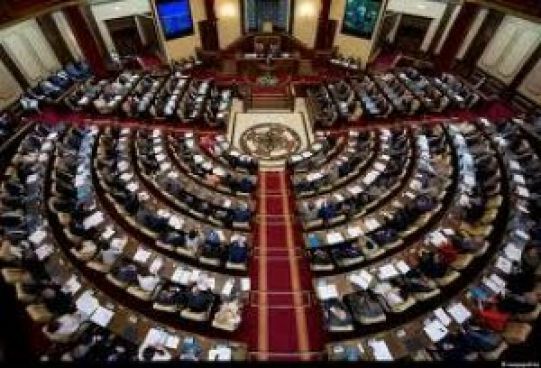 The senate consists of the deputies; they are elected in amount of two people from each district, city and the capital of the Republic of Kazakhstan, during the joint meeting of the deputies of all the representative bodies of the districts, cities and the capital of the Republic. The fifteen deputies are appointed by the President of the Republic in accordance to the need for representation of the national, cultural and other important interests of society in the Senate. Half of the elected deputies of the Senate are elected every three years. The term of office of deputies of the Senate is six years. The chamber is headed by the Chairman elected by the Senate from the deputies, who are fluent in the state language, with the help of the secret ballot, by a majority vote of all members of the Chamber. The candidacy for the position of the President of the Senate is nominated by the President of the Republic of Kazakhstan is nominated by the President of the Republic of Kazakhstan. Majilis consists of 107 deputies. 98 deputies of the Majilis are elected by the secret ballot, from the political parties on party lists in the nationwide constituency on the basis of universal, equal and direct suffrage. 9 Majlis members are elected by the Assembly of People of Kazakhstan. The regular elections of deputies of the Majilis shall be held no later than two months before the end of the term of the current Parliament. The term of office of the Majilis deputies is five years. 25 years ago by the resolution of the Cabinet Kazakh SSR the State library named after A. Pushkin is renamed into National library of the Republic of Kazakhstan. 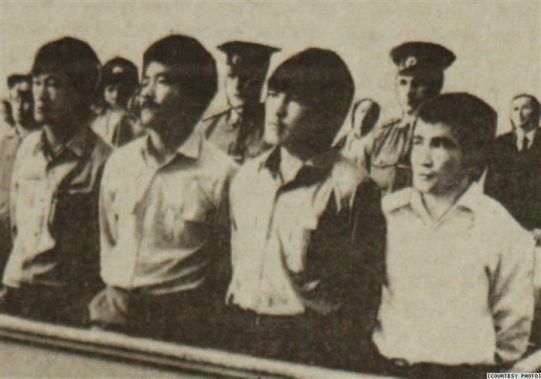 20 years ago by the Decree of the President of Kazakhstan N. Nazarbayev the participant of December events of 1986 K. Ryskulbekov was given the high rank "Halyk Kaharmany" ("Hero of Kazakhstan").